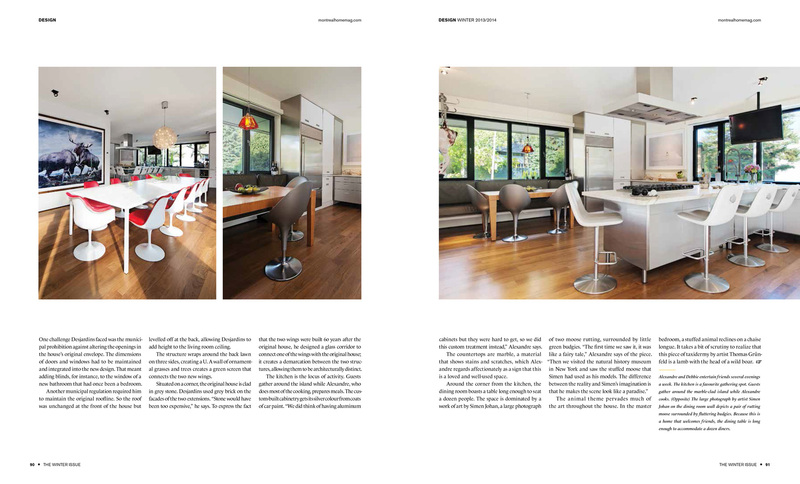 It’s always a pleasure to work with the folks of Montreal Home Magazine and this time was no exception. 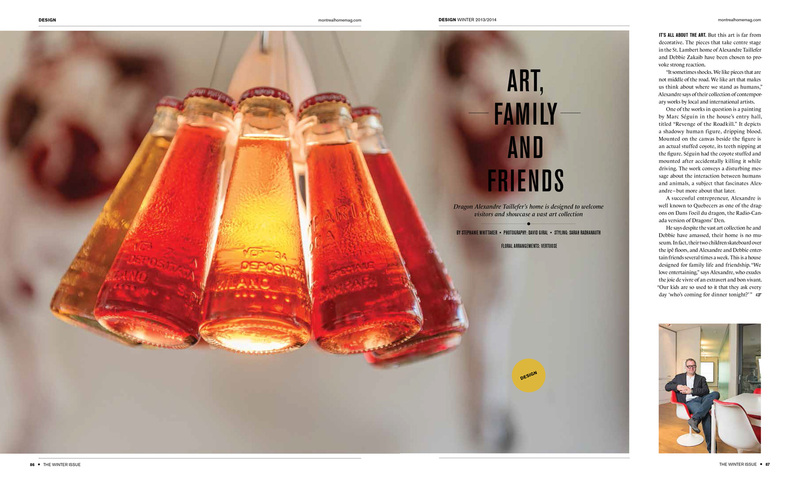 For this issue, I had the opportunity to photograph Alexandre Taillefer’s home, one of the Quebec’s Dragon and owner of many contemporary art masterpieces. This home, as you can see, is very unusual and unique in the them of decoration, with animals being the main subject of most of the art pieces. 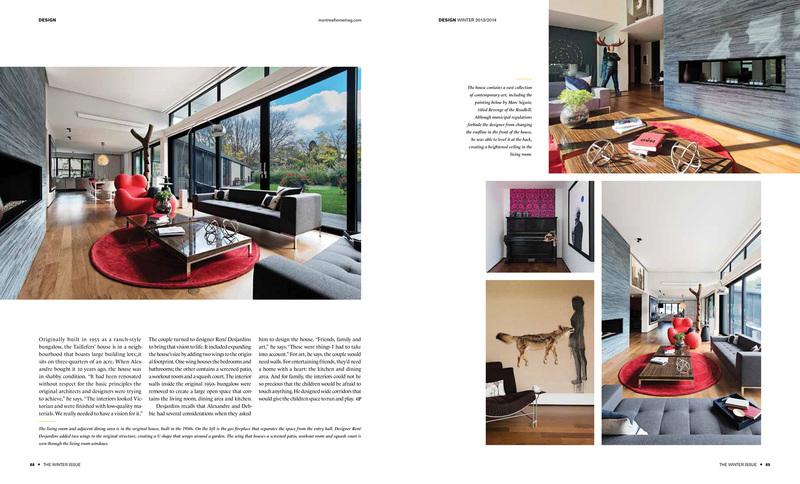 Although the art pieces were bought by the owners, the house itself was decorated by renown interior designer René Desjardins.